When people asked me where we were going on holiday they all looked slightly amazed. Were we brave or mad? I then explained how we were doing it. 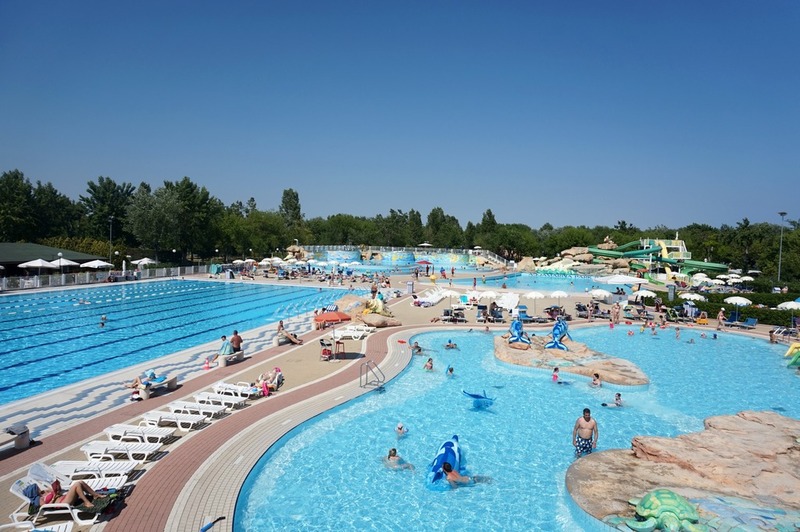 By staying just outside with Eurocamp and taking a couple of day trips. Their faces looked less confused. Having been, I thought I would share my wisdom from our stay. 1. Stay outside Venice in a holiday parc. Staying in Venice itself would have been cramped and expensive. Instead we stayed a 40 min boat trip away with Eurocamp at their Marina De Venizia parc. The parc was fantastic for children and our mobile home gave us flexibility with eating. If you are flying direct you are best to hire a car. It had the most amazing swimming pools which we used everyday, What better way to cool off after a trip to Venice! I have no doubt at all that out children will tell you how much they loved Venice, mainly because they had such a good time at this parc. We took the boat to Venice from Port Sabbioni. You only need to pay for over 6's. Take water with you as you cant buy food and drink on the boat. There is a toilet but the doors often lock themselves or there is a queue so be warned. 3. Get everyone to use the toilet when you have stopped to eat in a cafe. Anyone with children will know what it is like. You have just been to a cafe and they didn't need the toilet. You leave and 5 mins later they are desperate. Toilets in Venice aren't cheap! If you think paying 30-50p in London is bad, you will hate Venice. It costs 2 euros per person! One of the attendants took pity on my husband and let him have a euro off when he had to pay a whopping 5 euros to take big and little man to the toilet. If you are in a cafe, make everyone try Before you leave! 4. Eat gelato on the go! Walking around a city is never a childs idea of fun. However, if ice cream is involved it is easier. A lot of guide books say to go to the back streets for gelato. We actually went to a place on the corner of St Marks Square. It was cheaper there, as long as you took it away. Want to sit down? You are looking at 15 euros fora sundae! Riding a gondola was top of our list of things to do. You can use a vaporetto but this all adds up when there are 5 of you. A gondola is cheapest before 7pm. It will cost 80 euros before 7 and 100 euros after. One advantage of having a family of 5 is that it appears better value as it is a cost per boat and up to 6 can ride for this price. 6. Turn left from the boat to see glass blowing in Murano for free. The boys were mesmerized by the glass blowers. It is fantastic watching them mould a ball of glass with a few tweaks into a horse. If you don't want to pay to watch a glass blowing demonstration then turn left at the boat and you can watch them from the street or inside the shops. You wont be able to take photos or videos and you really should leave a tip. I am sure that the paid trips are really good, but so are the free ones. 7. Visit Murano in the morning. 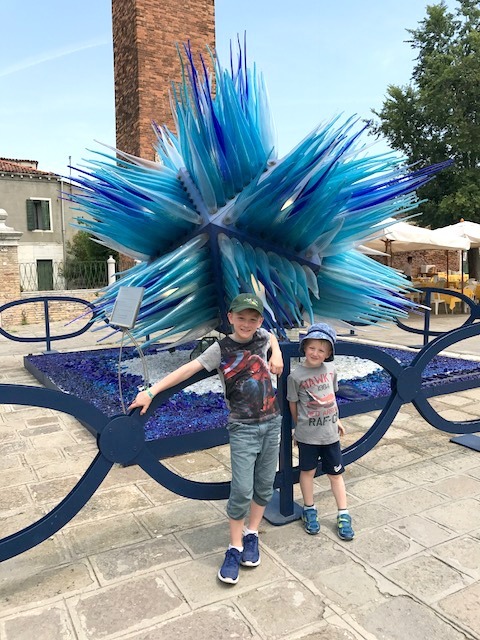 If you want to see the glass blowing in Murano you need to do it early. They stop doing it at 3pm and also break for lunch. You also need to check that they are running when you visit. We went in June which was fine, but a friend went in August and they were closed. 8. Order a couple of pizzas for lunch and share them. It is ok not to order a pizza each at lunchtime. To be honest the pizzas are huge, so sharing them between the children is fine. No one seemed to mind that we did this. None of the restaurants though understood the concept of tap water. If you ask for water it will be bottled. This was a tip from a friend who found herself with no money in Venice when her husband had his wallet pick pocketed. I may have slightly panicked which was not necessary. It is like any busy city, just be careful. Don't take all your money out with you and make sure it is secure. I was overly worried, we were fine, just something to keep in mind. 10.Take drinks and snacks with you. One of the upsides of a self catering holiday is that you will have bought food from a supermarket. My kids are ALWAYS hungry! Pop some drinks and snacks in your bag for your day out so you aren't spending loads of money in cafes. On our trip to the islands we took sandwiches which we ate whilst waiting for our boat. Venice isn't cheap, think London prices as a guide, it can add up if there is a lot of you. 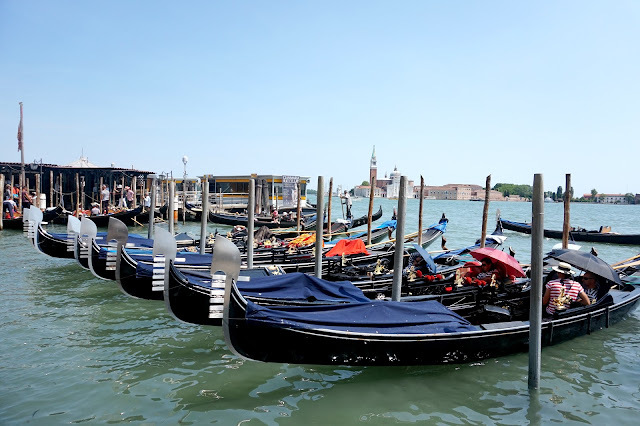 Have you visited Venice and have some good tips to add?